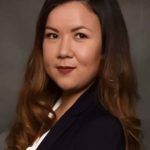 Sogol joined Lister Beaupré in June 2017 and practices in the areas of Labour and Employment law, Immigration law and general civil litigation. She holds an LL.B from the University of Sussex in the United Kingdom where she was the sole recipient of an entrance scholarship. During law school, she served as a content editor for the school’s online law review and participated in the DMH Stallard LLP Negotiation Competitions. Prior to law school, Sogol obtained a Master’s of Arts and a Bachelor of Arts from Carleton University. Prior to joining Lister Beaupré, Sogol completed her articles at a boutique firm in Ottawa in the area of citizenship, immigration and refugee law, where she appeared before various tribunals. Sogol is from Ottawa. She is a Carleton University alumni mentor and a member of a business network of female professionals and entrepreneurs. Sogol has a Nidan in Karate, a Shodan in Tae Kwon Do and is a member of the World Tae Kwon Do Federation. In her spare time, Sogol enjoys travelling, food and wine.